The year was 1910, and the children of St. Joseph, Michigan, spent their days at the Silver Beach Amusement Park. There lived the most exquisite carousel ever built. Children and adults alike lined up to pay the fare of twenty-five cents for a three-minute ride on their most beloved horse or chariot. It was obvious that Charles Carmel, the master carver of the gentle, yet energetic-looking horses, created them with love and precision. His desire to make each one special brought its unique spirit to life and created a memorable experience for every rider. 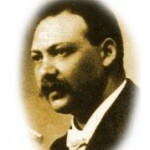 His horses thrived in St. Joseph for sixty-two years. 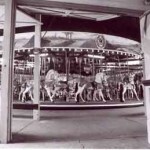 The Silver Beach Carousel was dismantled in 1972, before finding its way to a new home in Roswell, New Mexico. The carousel’s new owner had a passion for the handcrafted horses and all they represented. Marianne Stevens cherished the horses and protected them for the next thirty years. She held tightly to every horse, making it her mission to keep them all together. Their beauty and their legacy, concealed under tarps, were a treasure waiting to be uncovered once again. 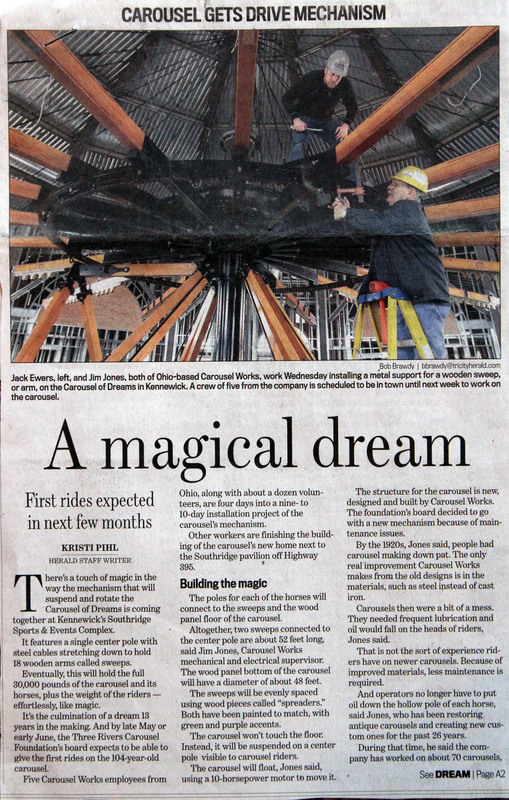 In the year 2002, Ken Johanning and Phil Slusser discovered the hidden gem of the Silver Beach Carousel and committed themselves to bringing it to the Tri-Cities. They knew this was the perfect place for the tradition of the carousel to be reborn, and for its legacy to be realized. Marianne Stevens couldn’t have agreed more. 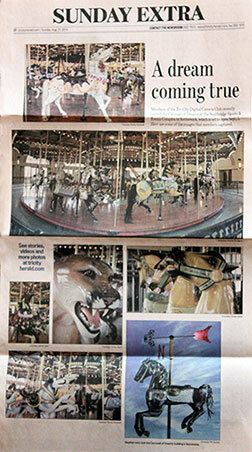 In 2002, The Silver Beach Carousel gave way to the legacy of the Gesa Carousel of Dreams. The ponies were meticulously packed into a truck to begin the journey to their final home. Countless volunteers, experts, and generous contributors, large and small, worked tirelessly for twelve years to make the vision of a Tri-Cities carousel a reality. They did so with the zeal and excitement of children who were anticipating the birth of something amazing. They did it for the love of tradition and family and the spirit of Washington. That spirit came alive with two new additions to the team of horses: a Washington State University Cougar, carved by Tri-Cities’ own Michael Thornton, and a University of Washington Husky, carved by the Missoula Carousel Carvers. Our carousel was born in Michigan, but it lives on in Washington. The Gesa Carousel of Dreams is not simply a carousel; it is a piece of American history that has found its place in Tri-Cities, Washington. Charles Carmel knew what he was doing when he lovingly carved each horse of basswood from the linden tree, the leaves of which look just like hearts. The heart of this project and its legacy will continue to beat in the spirit of his horses and in the carousel lovers of this community. To all the people, present and past, whose unrelenting spirit, love, and joyous childhood memories helped to make the Gesa Carousel of Dreams come to life, we say thank you now, and for the generations to come.